A blackish species but usually with prominent red spots on the wing cases. There are similar species and care is needed with identification. A species of extensive habitats on damp soils, but it also turns up in patch habitats, especially dung and carrion. All year round, but especially in summer. 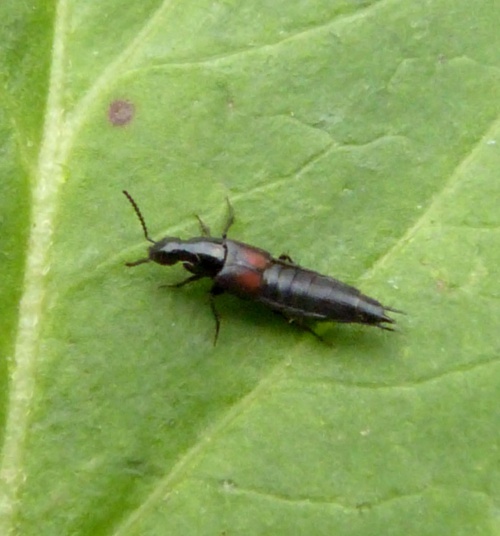 Widespread in England and Wales but not well recorded.